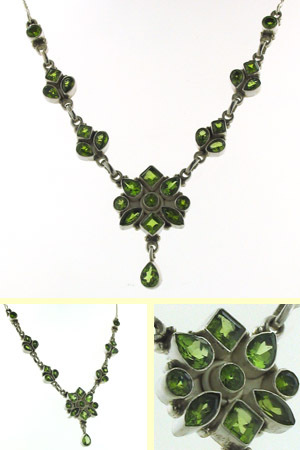 Peridot necklace set in sterling silver. 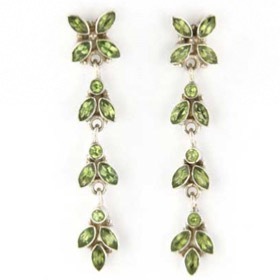 This is a wonderful necklace to wear - a flattering and eye catching shape with glistening fresh green peridots. 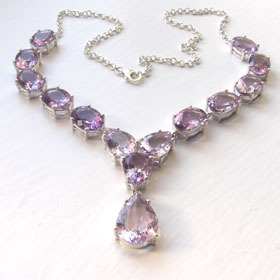 Add glamour to your outfit with this necklace! 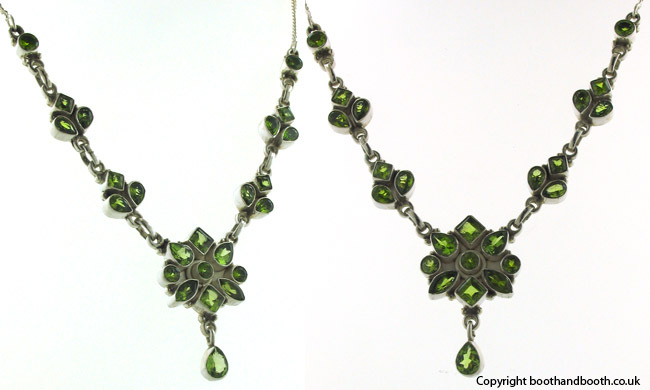 Set into sterling silver, the necklace is finished with a silver link chain and fastens with a lobster claw clasp. 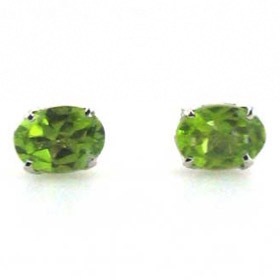 For a coordinating peridot set, see our peridot bracelets and peridot earrings.